the platform Jazz España, with the support of the Council of Culture. The Institute of Studies Baleàrics (IEB) has assisted this week to Saragossa to the assembly constituent of the platform Jazz España, of which is member. The assembly has tengut place Wednesday 3 of October, to the 12 hours, to the Auditorium of Saragossa. The assembly constituent has approved the statutes, has appointed the Board of directors and has established the mechanisms and actions to follow for the platform, as well as his calendar of execution. As a representatives of the Balearic Islands, have taken part to the assembly technical constituent of the IEB; Ignasi Mascaró, of the Association Jazz Opened of Menorca, organisers of the festival of Jazz of Menorca; and Àngel Pujol, responsible of Manangelment, representation and musical management. It has presented as a proposal of board of directors of the association Jazz España the following members: as a president, Javier Estrella, director of the Festival of Jazz of Madrid and of Cimbalo Producciones; as a vice-president Jaime Borobia, director of SiammProducciones; as a secretary, Miguel Ángel Mercadal, of Migany Music Services; as a treasurer, Enrique Montfort, coordinator of the Festival of Jazz of the Palace of the Musician of Valencia; and as a vowel, Miguel Martín, director of the Festival of Jazz of San Sebastián-Heineken Jazzaldia. The Institute of Studies Baleàrics is member of the Association Jazz España, in this way, pursues his aim to promote the musician of the Balearic Islands further of the insular territory. 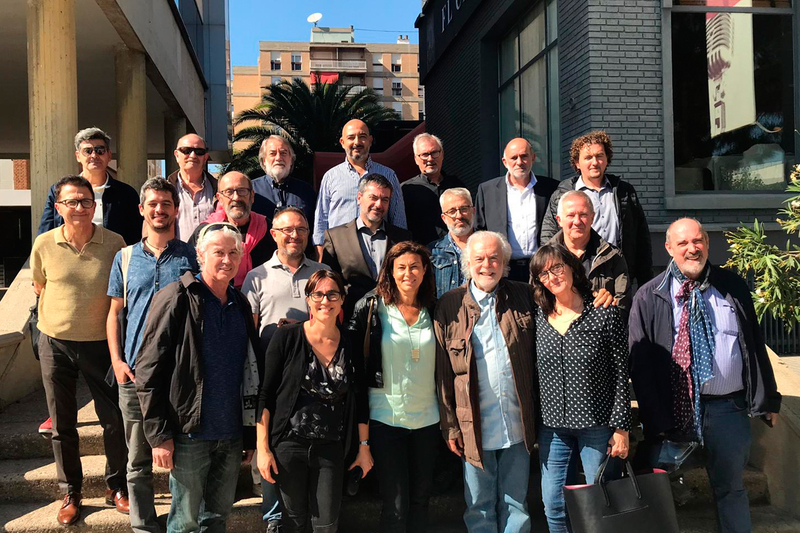 The main aim of the creation of the association Platform Jazz España is fomentar and develop the musician of Jazz to the Spanish State, creating projects in common. It pretends realise conjoint actions that contribute to a greater diffusion of the jazz produced all over of the State and drive the artistic creation, the promotion and it contractació of Spanish interpreters, especially young. Likewise, the association will promote the research, the edition and the diffusion of the musical heritage of the Spanish jazz. Since the association, also will drive the exchange between resident musicians in Spain, in the territory of all the State, as well as the international exchange of Spanish musicians with resident musicians to other countries.